Don’t look now but Google’s(s goog) at it again. The company has always wanted to index the world’s information and its latest effort, dubbed Project Tango, takes that mantra and applies it specifically to the world around you. Yes, you. And me. 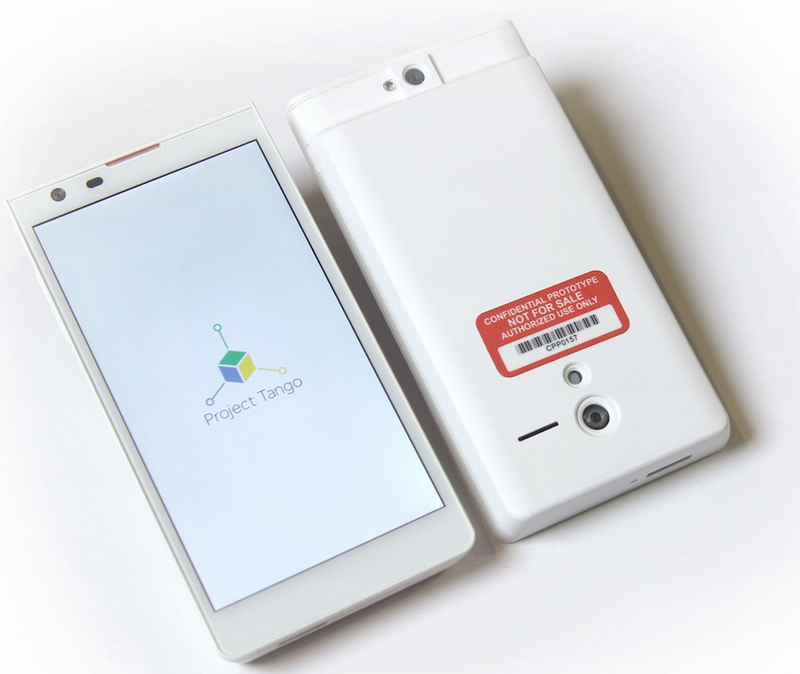 And everyone else in the world too if Project Tango expands beyond a startup project. Google’ Advanced Technology & Projects group announced Project Tango on Thursday and says the goal “is to give mobile devices a human-scale understanding of space and motion.” That can many so many things but at a high level, it essentially means adding more smarts to a phone so that it can “see” the world and understand how to move through and interact with objects around you. The initial device will be powered by the Movidius’ Myriad 1 vision processor platform. Think of Project Tango like Microsoft’s(s msft) Kinect being put inside a smartphone. That’s pretty much what Google has done with its developer handset, which is limited to 200 units, runs Android and will be distributed to programmers by March 14. Unlike the Kinect, which is generally a non-mobile device — it does tilt and swivel, but senses user movements; not its own — Project Tango can measure how it moves around in your hand or pocket. There’s definitely a VR or virtual reality aspect to Project Tango. Once a device knows everything about the space around it, you could, for example, superimpose other backgrounds or objects on top of others for a game. Or third parties and businesses could push virtual objects, ads or specials as you pass by a shop. Google smartly hasn’t defined a wide range of specific uses because quite honestly, that would simply limit the potential of Project Tango. In fact, I see Tango as a better VR option than Google Glass. Glass excels at providing useful, contextual information outside your field of vision while Tango is likely better suited for your full attention. Or the attention of others; and by others, I mean robots. 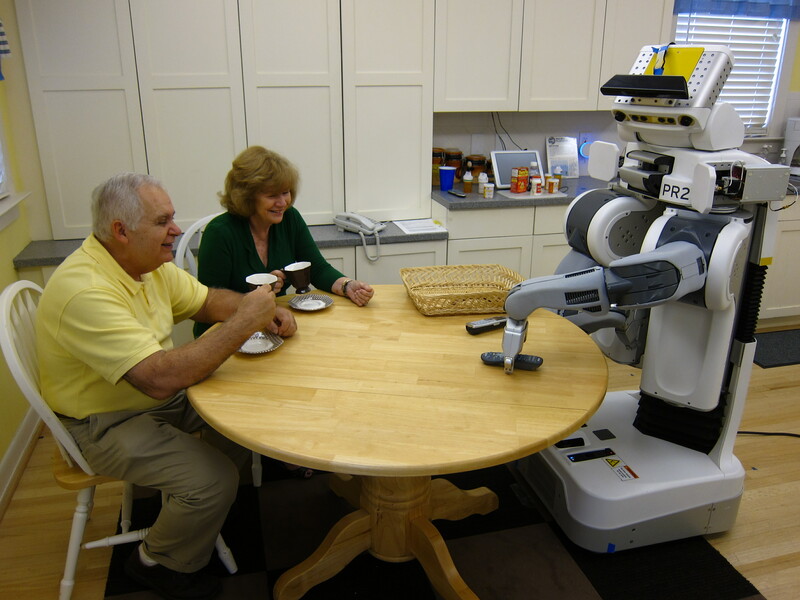 The consumer robotics industry could see the biggest benefit from Tango than any other space if it the technology works and is cheap enough. After all, you can’t have robots with mobility if they can’t get around in a world they can’t see or understand. I’ve said before that an internet connection paired with the right sensors from an Android device could be a powerful combination for robotics. Adding sense and meaningful awareness to surroundings would make that package even better. Fantastic, knew this was the way things were going. Especially with hardware like occipital’s structure sensor. It will be interesting how privacy laws will develop along side this technology. ROFL , this is about glasses ( in general not just the current beta Glass) and is pointless in phones.